Aspyr Media, a company known for porting various titles to macOS, have filed for an ESRB rating on their port of Call of Duty: Black Ops III to macOS. 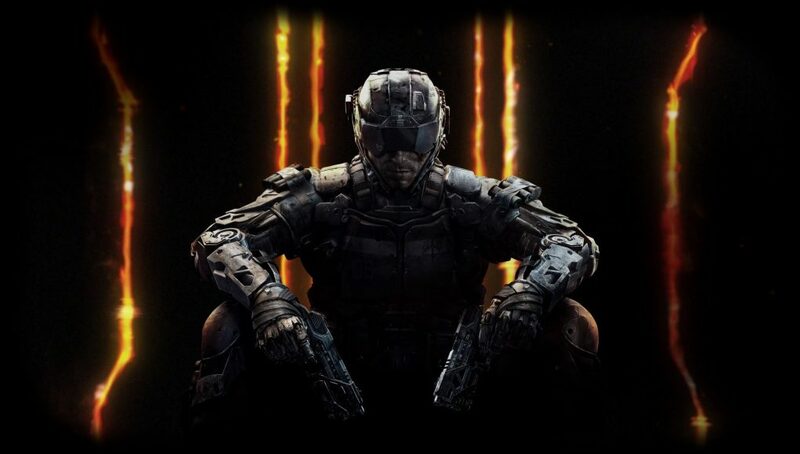 Call of Duty: Black Ops III released for PlayStation 4, PlayStation 3, Xbox One, Xbox 360, and PC (Steam) in November 2015. Unfortunately for macOS users, the game never seen a release on Apple’s PC platform. 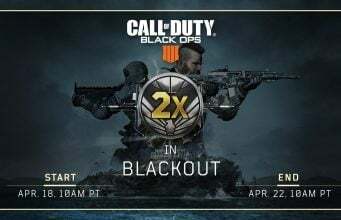 In February 2019, updates were made to the SteamDB page for Black Ops 3 which added a new password-protected branch titled macbranch. Since then, not much has been heard regarding a potential macOS release. 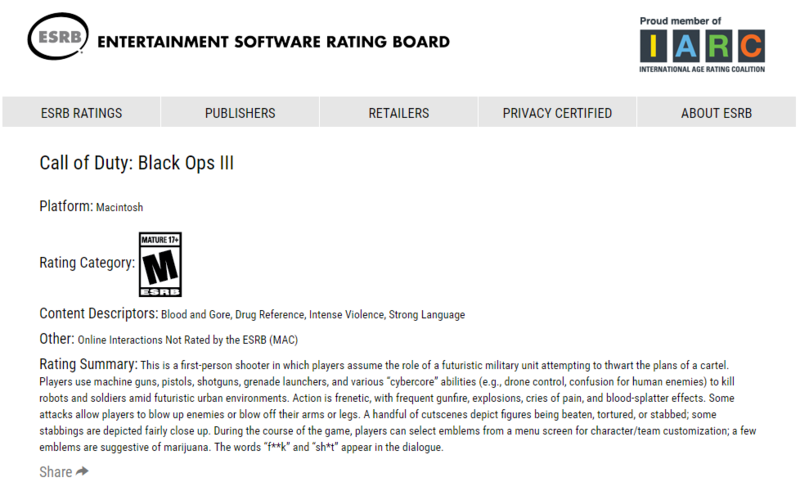 As of April 1st, 2019, Black Ops 3 for macOS is now listed on ESRB’s official rating board. JackOfAllControllers reached out to Aspyr Media for a statement where Aspyr is said to have confirmed the authenticity of the rating, no further information was provided. It is not-yet known if Black Ops 3 for macOS will release on Steam or Activision-Blizzard’s Battle.net client. Activision has yet to address these rumors or officially confirm the title’s release on the macOS platform at the time of writing. Writer & Social at @CharlieINTEL and @FortniteINTEL / CharlieINTEL.com and FortniteINTEL.com (@Dexerto Networks). Full-Stack Web Developer.